Product Detail Summary: Off with her head! • Fiendish action figure from the popular Alice: Madness Returns. • Fully articulated This highly detailed action figure emanate from the popular Alice: Madness Returns. 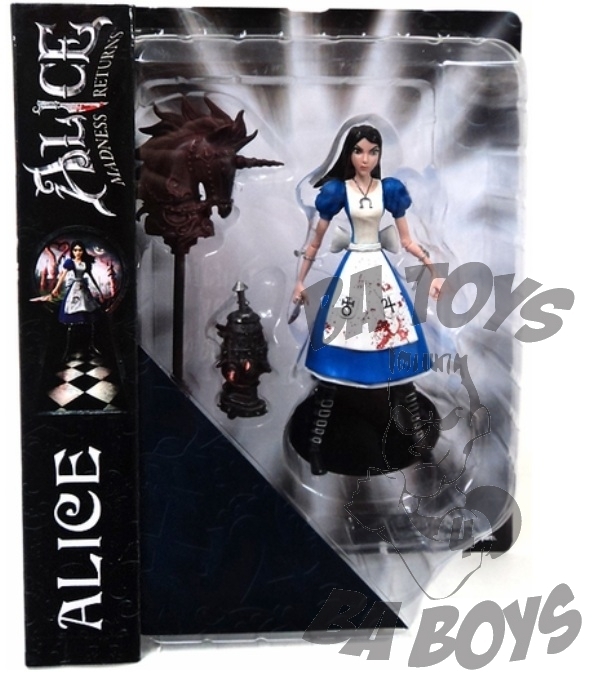 Based on the game from EA and Spicy Horse, this Alice 7-inch scale fiendish figure is fully articulated and comes in oversized collector packaging. This figure is in scale to Cheshire Cat and Card Guard in the same series(sold separately).